Many church and community events are held at Cairnwood. Weddings held at the estate are especially beautiful! My husband and I have had the great honor of attending several private parties and extravagant galas in the mansion and trust me when I say that it is an absolutely magical location for entertaining. Welcome back dear readers…I’m glad you’re joining me here on the blog again today. Last time, you may recall, I shared my photos of the Bryn Athyn Cathedral which were taken on a leisurely July morning stroll through the Bryn Athyn Historic District. Three historic buildings (the Bryn Athyn Cathedral, the Glencairn mansion, and the Cairnwood mansion) in Bryn Athyn, Pennsylvania were made part of an historic district on October 6, 2008. Glencairn, seen at the left, and Cairnwood, at the right, were the home to Raymond and John Pitcairn respectively. The son and his father were billionaires whose fortune was derived from control of the Pittsburgh Plate Glass Company. 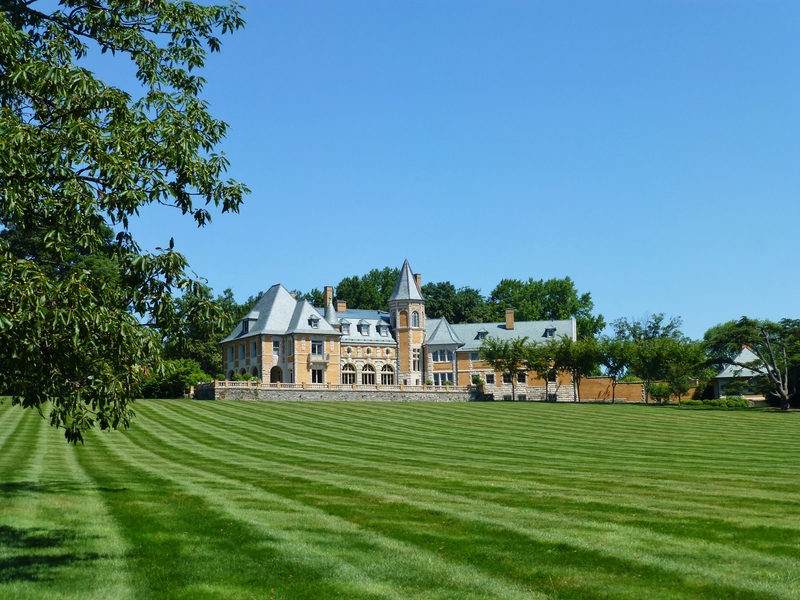 Today, I’d like to introduce you to the fabulous yellow brick mansion: Cairnwood. 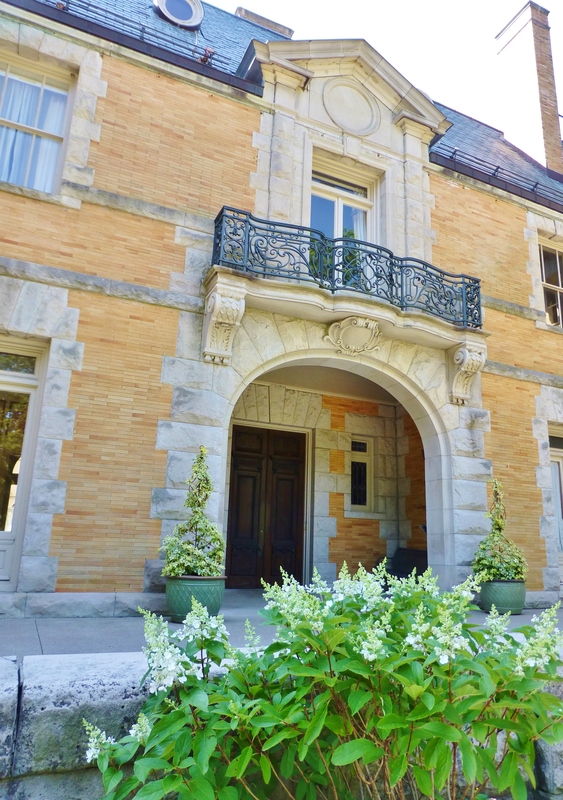 Seen from the parking area below, the lovely yellow brick mansion was designed in 1895 by the renowned architectural firm of Carrère and Hastings to be a home for the industrialist John Pitcairn and his family. The tree in the foreground is an absolutely gorgeous specimen! Carrére and Hastings was one of the country’s leading architectural firms at the time. 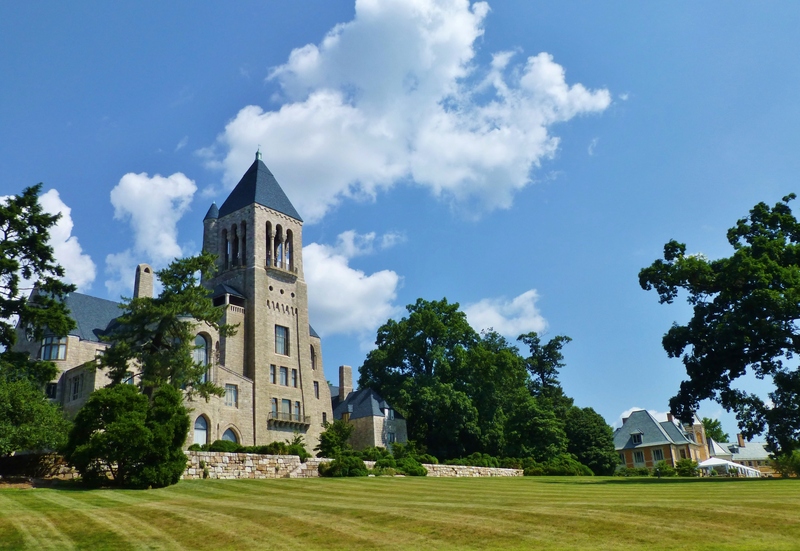 According to the Bryn Athyn Historic District website, ground was broken for Cairnwood in 1892, and construction continued until the home was finished in the spring of 1895. Seen here from the entrance drive, the mansion’s symmetrical façade is framed by another mature tree in the foreground. I just adore the light grey stone-work, contrasting with the joyful color of the yellow brick! 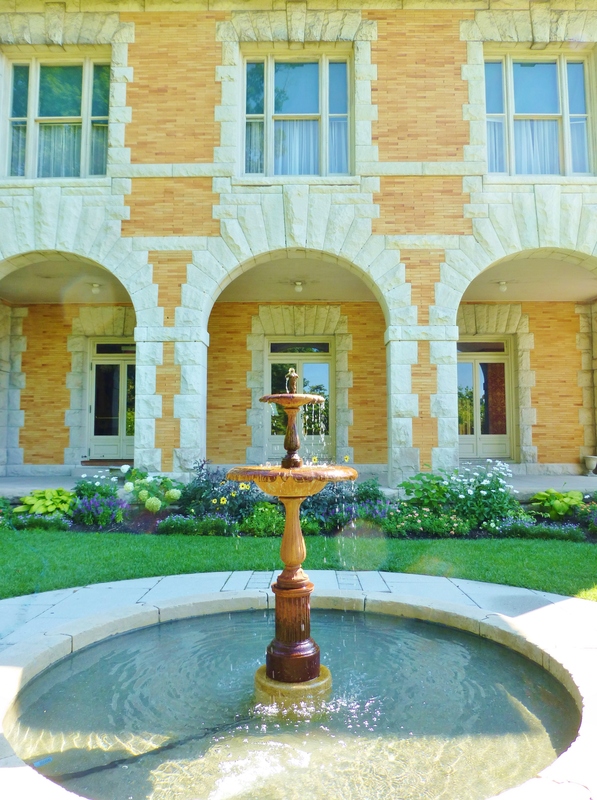 According to the Cairnwood website, the meticulous decorative elements blend influences from classical Greek and Roman architecture with French Renaissance ideas. The exterior of Cairnwood shows a mixture of rustic elements and high style. 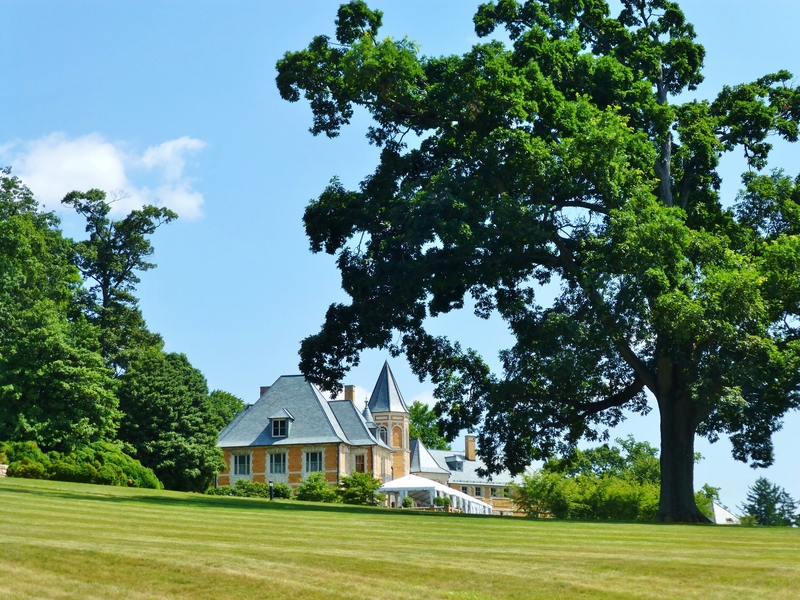 The overall effect is that of a majestic French chateau adapted to the conditions and requirements of American life during the Gilded Age. 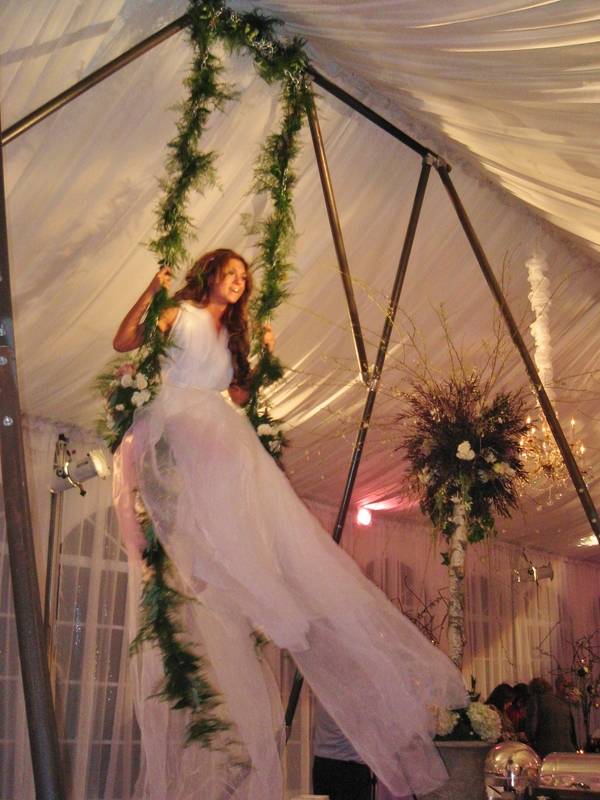 In 2008 I attended a gala at Cairnwood, during which costumed performers sat high above the crowd and whimsically swung back and forth all evening…it certainly set a fabulous mood. What an amazing event that was! I’ll definitely try to share some interior images in a future post…the rooms are quite beautiful with fabulous mouldings and lots of architectural detail! At the side of the mansion is a lovely fountain courtyard. 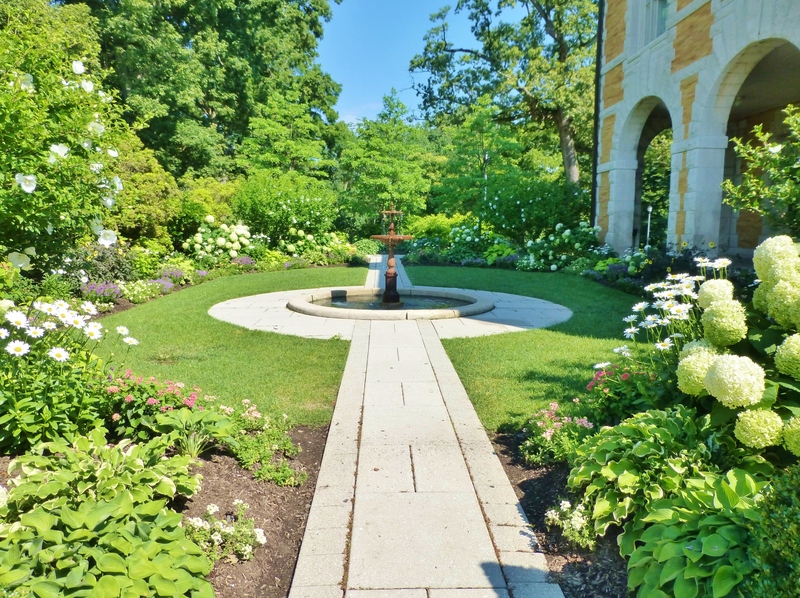 It’s lushly planted with flowering plants for year-round enjoyment and is understandably a favorite location for wedding photography. The side terrace is one of my favorite spots at Cairnwood. I can just imagine sitting on the covered porch and watching the butterflies dance amidst the flowers, while listing to the water musically cascade from the fountain. 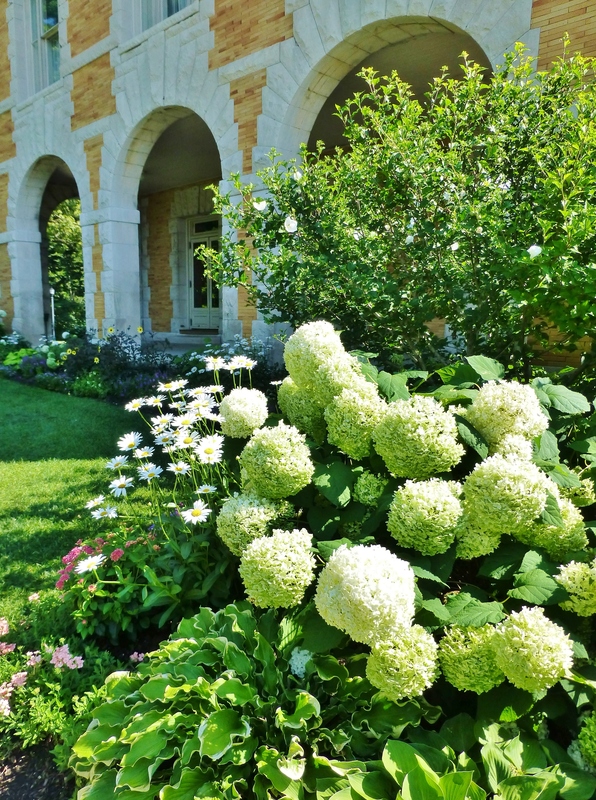 I stayed here in the courtyard for quite some time during my July visit and enjoyed the peaceful, yet exuberant garden atmosphere. This photo shows a little more detail of the side facing the cathedral. From this perspective, you can see one of the most striking features of Cairnwood: the octagonal tower with the high-pitched roof. At the top of the octagonal tower is the family chapel, placed at the highest point in the house so that worshipers face east. This chapel is the embodiment of John Pitcairn’s strong spiritual beliefs. He was guided by the doctrines of Emanuel Swedenborg, an 18th century Swedish scientist, philosopher and theologian. This phenomenal property is definitely worth a visit for the gardens, alone. They are truly magnificent. Fortunately, guided historic tours of Cairnwood are available Tuesday through Sunday! 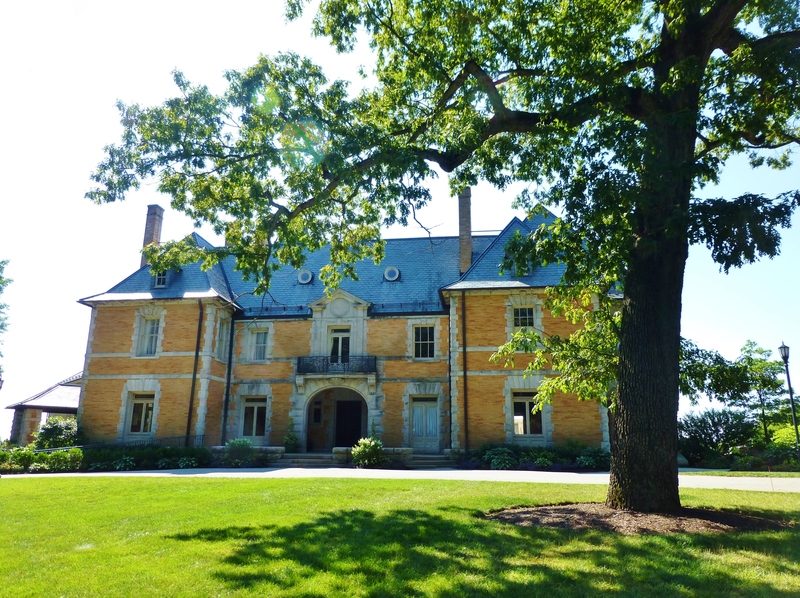 I’ll share my photos of the fabulous gray mansion (or as Pitcairn family members call it: ‘The Castle’) next time. Until then, I hope you’ll take the time to leave me some feedback in the comments section…I love to hear from you! And please tell everyone you know about Kristine Robinson’s Blog–I need all the friends I can get! 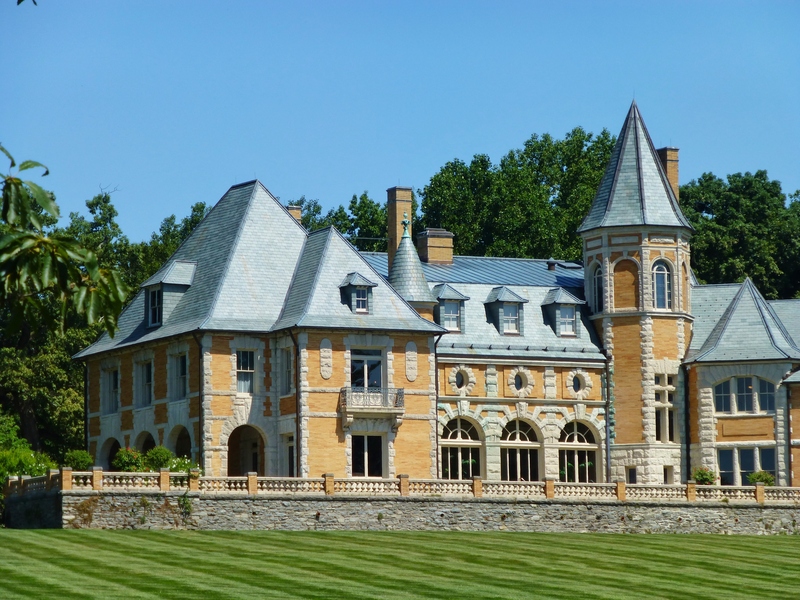 This entry was posted in Architecture, Bryn Athyn, Gardens, Historic Sites, Pennsylvania and tagged Beaux Arts, Cairnwood, Events, Gilded Age, Kristine Robinson, Landscape, Mansion, National Historic District, Robinson interiors, Stone, Tower, Wedding, Yellow Brick. Bookmark the permalink.